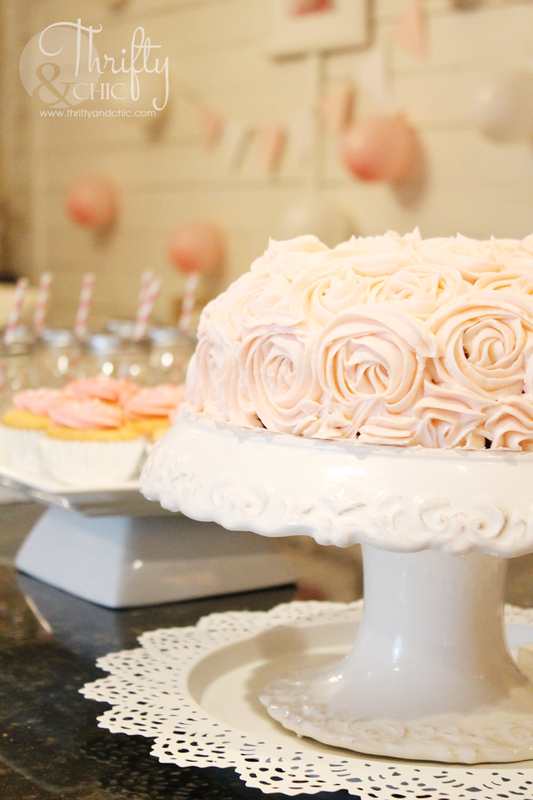 Her birthday didn't have much of a theme, just pink and white. For the table decor, I used the most out of the tissue pompoms I made and put them in the place of candles on the candle sticks. To make it all about the birthday girl, I got rid of my giant mirror that usually hangs on the wall and put up her picture with some balloons and other decor. 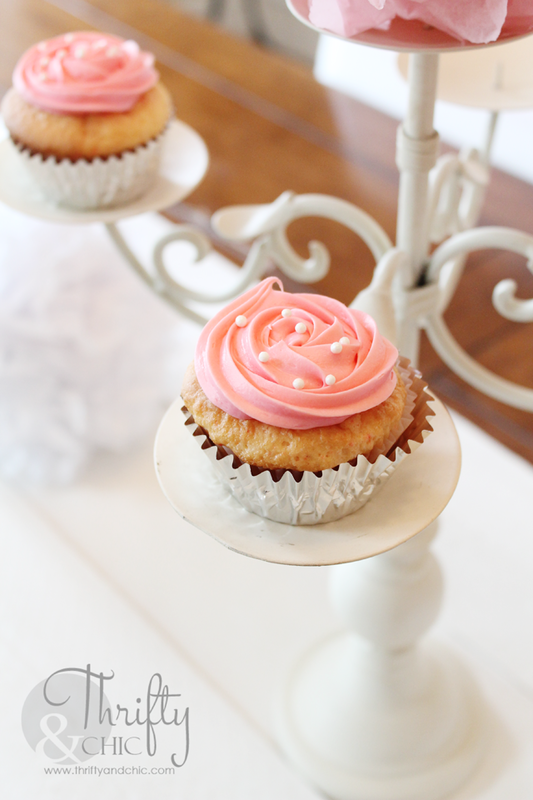 As for the cupcakes, I went easy and made them out of a cake box, but iced them with pretty rosettes and topped them with little edible pearls. In the kitchen, I hung some tissue pompoms from the ceiling and swagged a cheap plastic tablecloth in front of the island. Here's the cute little cake I made. I was going to have someone make one of these for me, but it would cost around $40. So, I figured to save some money, I would learn to do it myself. First try here and it turned out perfect! You can see how I did it in this tutorial here. 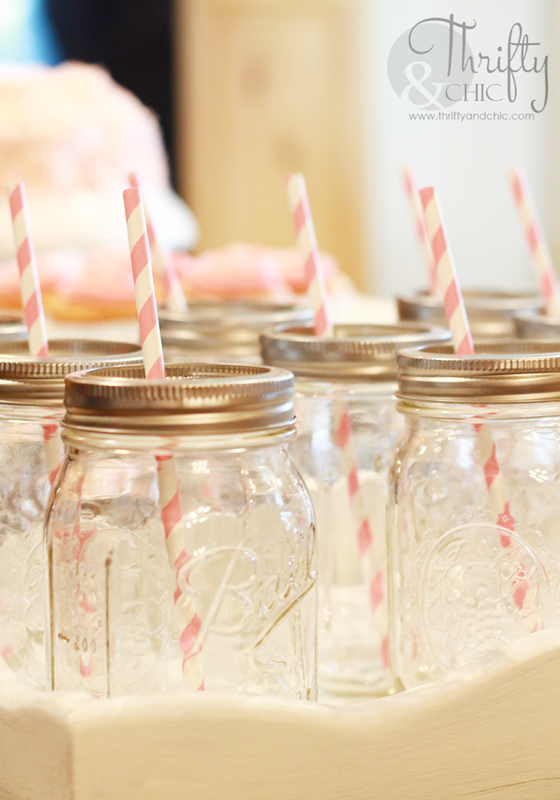 For the drinks, I used mason jars with just the rims of the lids. I placed them all in a tray to corral them. I even redecorated the mantel for the party. 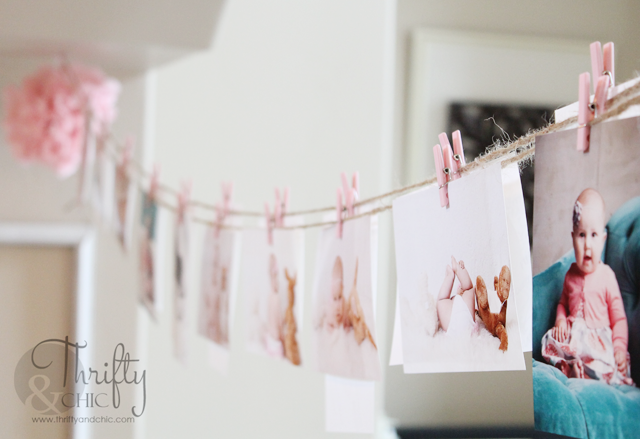 I put all her baby pictures up and decorated a wreath with her initial on it. 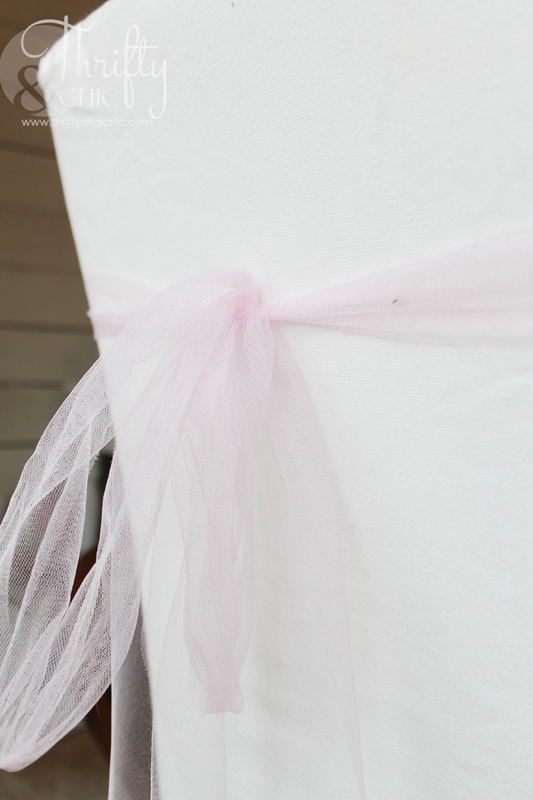 And of course, some of the little details are super important to tie a whole thing together like these chair ribbons made from pink tulle. 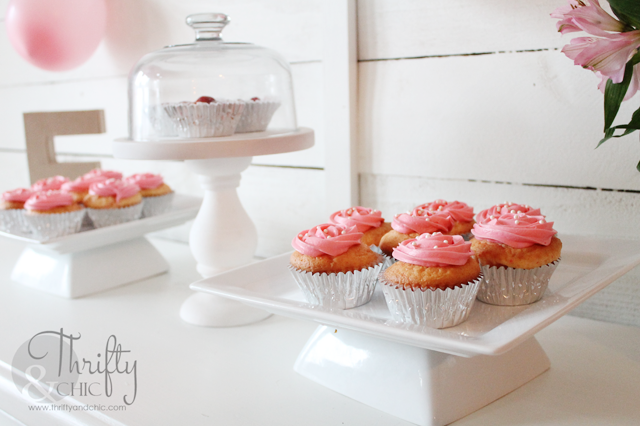 This was a super low cost party. Just the cost of the tissue for the pompoms, the dollar or so for each mason jar, the tablecloth and the ingredients for the cake and goodies. 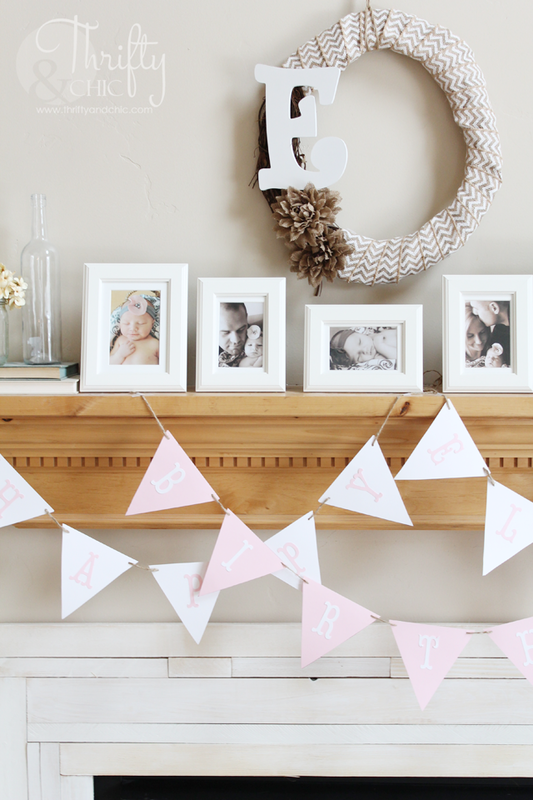 Love the pom poms, how cute are they. That cake is amazing too. 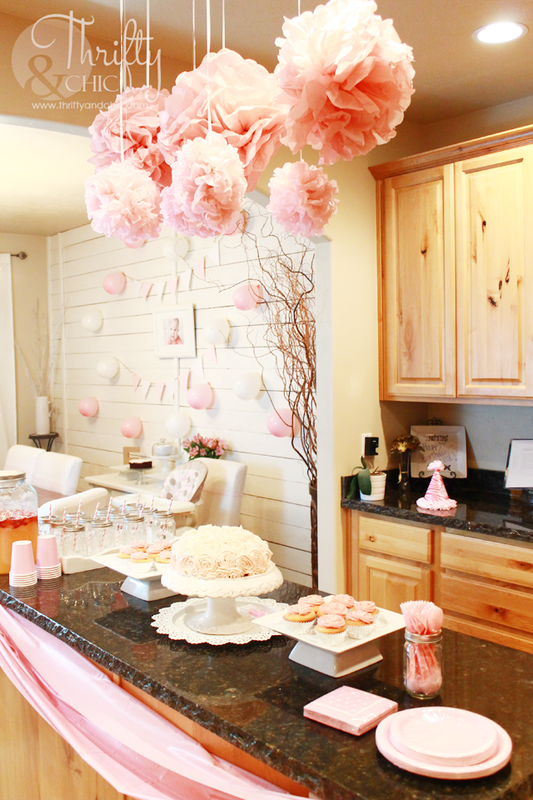 Pretty decor for a sweet little girl. Awesome cake!! You did it perfect! Did you have any guestbook? 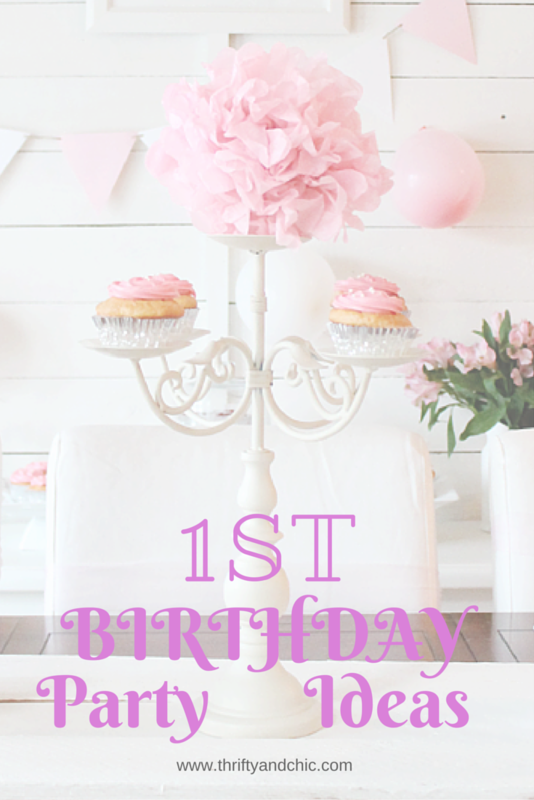 We are looking for inspiration for our shop and we loved the style of your party. 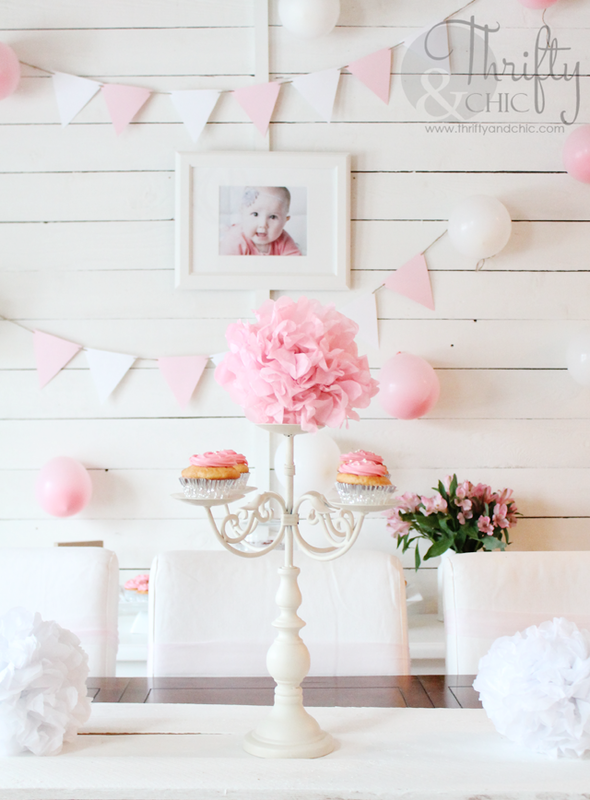 Thanks a lot for these birthday party decoration ideas. I found this post very helpful. 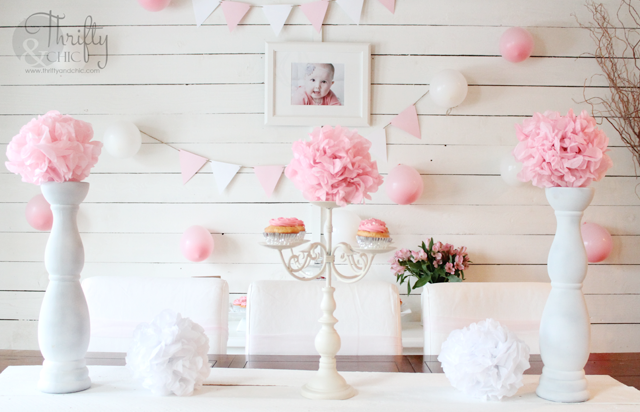 Actually I was in great need of such ideas for my daughter’s birthday party as we are shortlisting venues in Chicago and then would need to do all the planning.